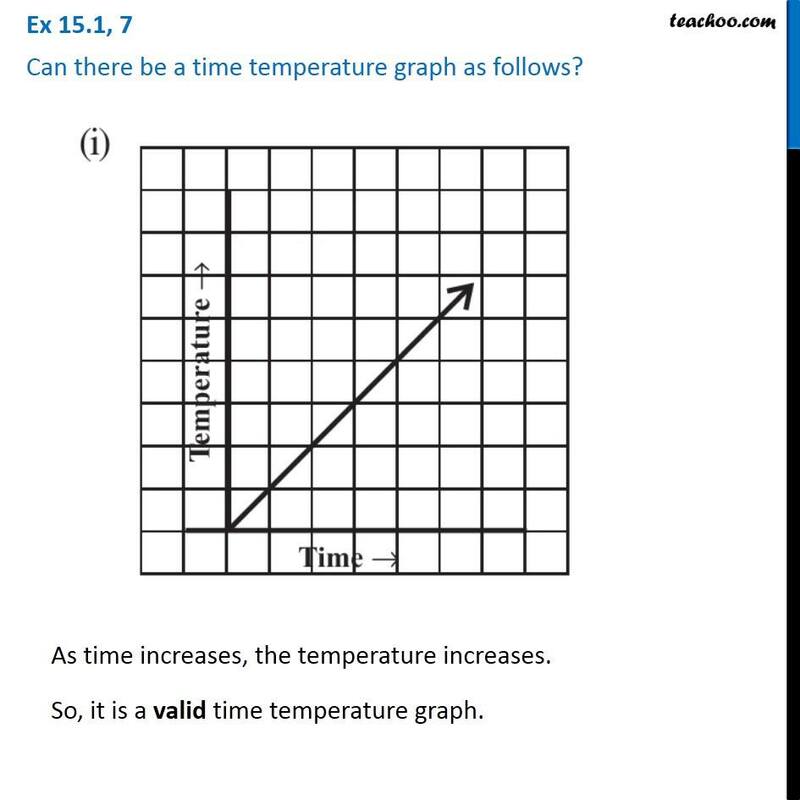 Ex 15.1, 7 - Chapter 15 Class 8 Introduction to Graphs - NCERT Can there be a time temperature graph as follows? (i) As time increases, the temperature increases. 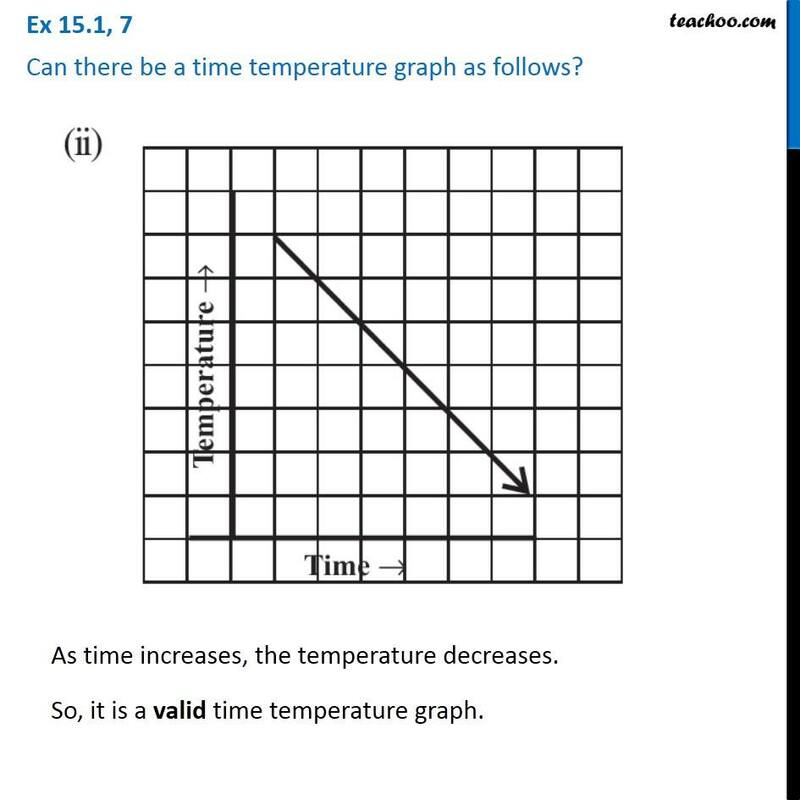 So, it is a valid time temperature graph (ii) As time increases, the temperature decreases. So, it is a valid time temperature graph. 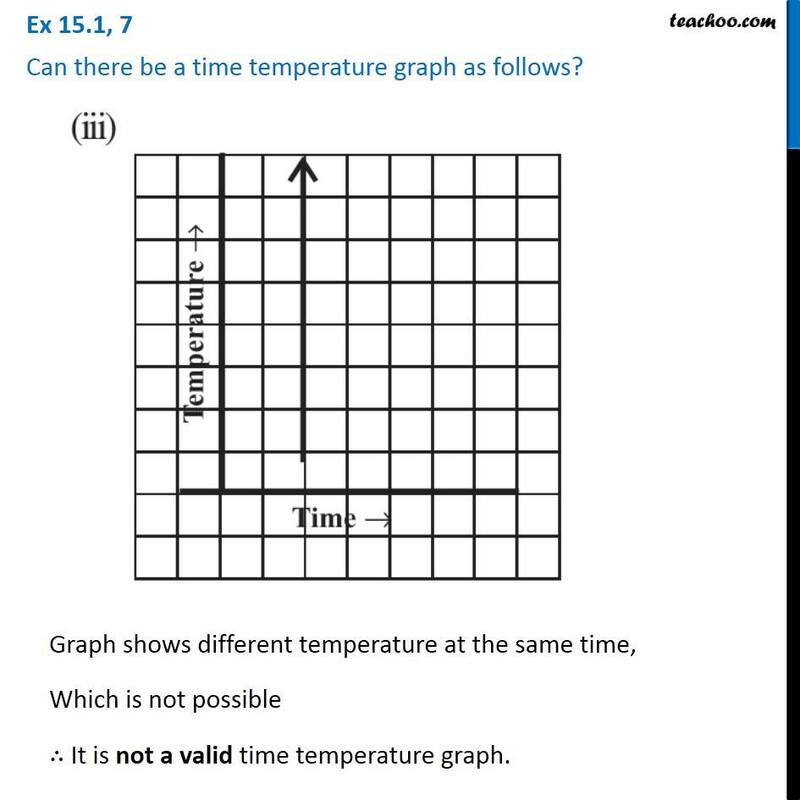 (iii) Graph shows different temperature at the same time, Which is not possible ∴ It is not a valid time temperature graph. (iv) As time increases, temperature remains constant. 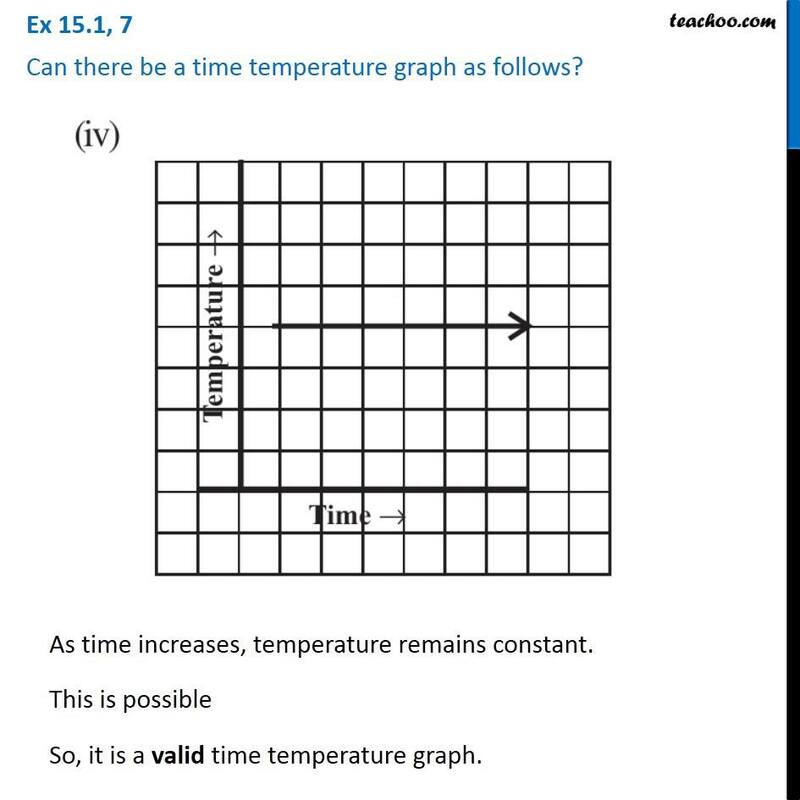 This is possible So, it is a valid time temperature graph.